Though I have kept up with blogging here and there since bringing Miles home, I am finally beginning to have consistent full days where my pain is manageable and I have enough energy to get through the day without a big nap. Recovery has been so much tougher and painful than I anticipated and sadly I will have a good day followed by some pretty horrible days and that has been the pattern for the past month. But just this week things began to really take a turn for the better and I was able to get through almost an entire day without major pain or extreme discomfort. I don't have all my energy back, but my doctor has encouraged me to go on a brisk walk each day or at least every other day to help. Today I did just that with Miles and it was nice to feel slightly active and even get my heart rate up a bit. I will be sharing Miles' birth story in the next few days so be sure you are subscribed to my YouTube channel so you will know when the video goes live! Now that I am really getting my energy back, I have enjoyed getting back to taking pictures regularly and am excited to share some great outfit ideas over the next few weeks. I've said before that when I lived in NYC, coats were a necessity and often the only thing people saw on me for months at a time. As a result I constantly looked for statement coats that could act as my entire outfit. I found this one on Asos and immediately loved the faux fur collar and belted waist. 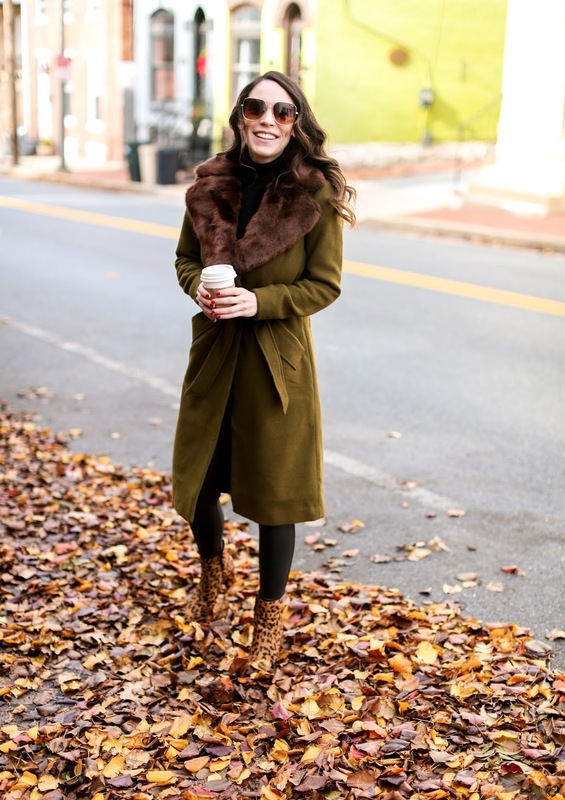 I wore it with a basic black turtleneck and my favorite faux leather leggings to make the coat the main focus. 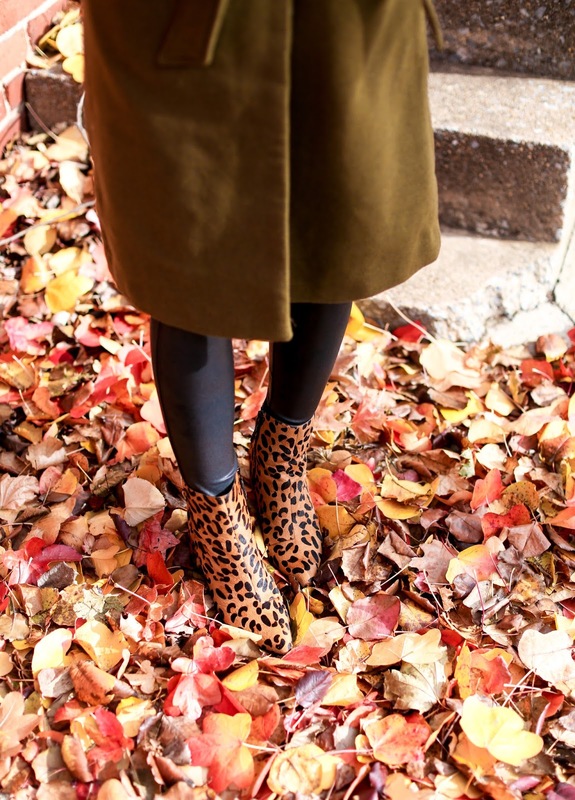 But when deciding on shoes, I felt that my leopard boots were a great addition and love that they go with the coat but aren't matchy matchy. If you are looking for a new coat for the season with faux fur accents, I rounded up a few more styles in the widget below.